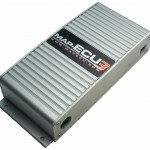 We ship MAPECU3 Kits and MAPECU3 WiFi Kits to all states for Free! Free freight applies to regular economy freight service, express freight is an additional cost. Spare parts and options are shipped using Air Mail Postage (USPS equivalent). Select USA and your state in the online shop to select free USA shipping.